Agile & Scrum is the answer to the growing pace of change that companies need to address. In many projects, deviations from the plan are the rule rather than the exception. In traditional project management, a change in requirements almost inevitably leads to higher costs and a longer project timeline. 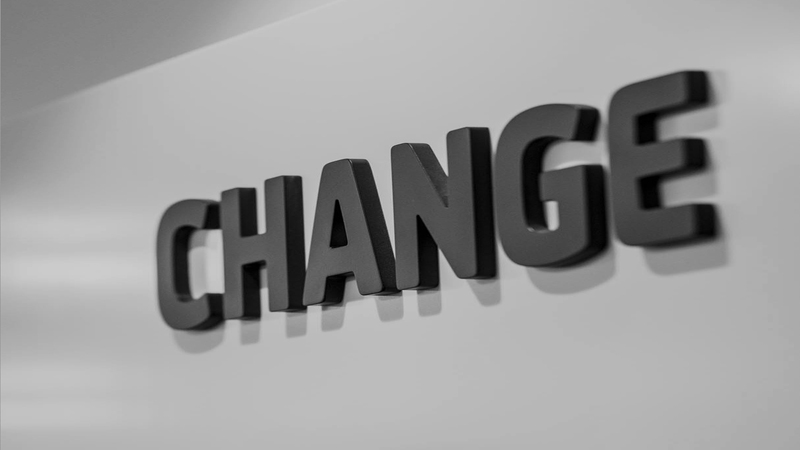 In agile project management, such changes are undertaken right from the start. We support companies to transform their projects into more agile step by step. An agile organization is not just about executing projects according to Scrum. It requires a suitable corporate culture. The management, the executives, the processes and the organizational structures must follow an agile spirit and mindset also outside of agile projects. Satisfy the customer through early and continuous delivery. Welcome changing requirements, even in late development stages. Business and IT closely collaborate on a daily basis. Build project around motivated individuals. 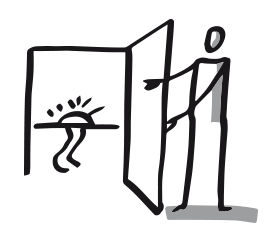 Convey information via face-to-face communication. Working products are the primary measure of progress. Give continuous attention to technical excellence. Teams retrospect and tune behavior accordingly. The following information is based on the Scrum Guide™ enriched with hands-on experience from CPC practitioners. The Scrum framework consists of Scrum Teams and their associated roles, events, artifacts, and rules. Each component within the framework has a specific purpose and is essential to Scum’s success and its usage. 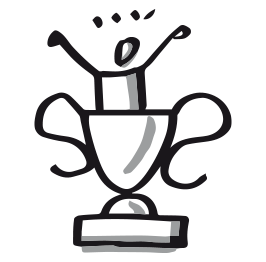 Product Owner – "The Shaper"
Scrum Master – "The Facilitator"
Development Team – "The Creators"
SCRUM is more of a framework than a process or technique and is the most popular of the many agile methods. People can address complex adaptive problems, while productively and creatively delivering products of the highest possible value. 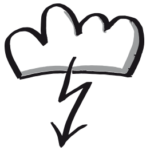 Scrum employs an iterative, incremental approach to optimize predictability and control risk. It is founded on empirical process control theory (empiricism) – knowledge is based on experience and decisions are made based on what is known. Everything about the project is visible to everyone. All involved persons really see and understand what is happening during a Sprint and can predict what will happen in the next Sprint. Increased communication and mutual trust help the team to collectively collaborate for the common goal. Based on the results of inspections, all project variables are adapted to continuous improvement. An adjustment must be made as soon as possible to minimize further deviation and to ultimately maximize the business value of the product. 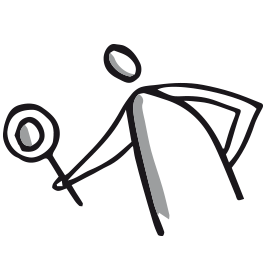 All Scrum Team members must frequently inspect all project variables such as processes, techniques, product, team setting etc. 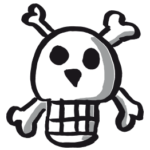 to detect undesir­able variances from the Sprint Goal. Courage is a quality of spirit that enables you to face danger or pain without showing fear. It takes courage to call out problems, identify impediments, ask for help, receive help and offer help. Openness is characterized by an attitude of accessibility without concealment or being secretive. Everyone should know everything about the work during a Scrum implementation. Respect denotes both a positive attitude towards a person or other entity, and an authentic behavior according to this esteem. Without respect, there would be high potential of miscommunication, low communication frequency and hurt feelings. Focus is the concentration of attention. People who are not focused are not paying attention in any meaningful way, and can’t learn to any meaningful level of depth. Commitment is the act of binding yourself to a course of action. If people can’t commit, people will be in the state of doing-nothing limbo, a state of inaction. ... is responsible to align with different Stakeholders. The entire organization must respect his decisions. ... should have full decision-making authority to reduce risk of unnecessary delays. ... is the only person who has the authority to cancel the Sprint. 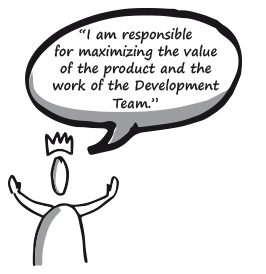 ... could delegate the Product Backlog management job to the Development Team, while he/ she remains accountable. ... is a servant-leader for the Scrum Team. ... is responsible for removing impediments to the Development Team’s progress. ... should work with Scrum Team and the organization to increase the transparency. 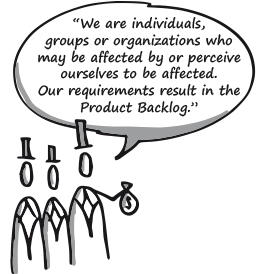 The Product Backlog is the only set of requirements for action. It should work in a self-organized and cross-functional manner. The team decides autonomously about the workload of the next Sprint and the estimated effort for each task. There is no title rather than developer in the team; and there is no sub-team. However individual team members may have specialized skills. The counts for team members should range from 3 to 9. Due to the individual character of each project there may be wide variances regarding the importance and impact of Stakeholders. Most probably there are even more Stakeholders than those described here. 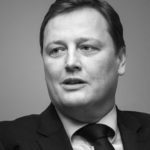 Therefore, a detailed Stakeholder analysis at the beginning and through­out the project is crucial for it‘s success. THAT "product benefit / reason to buy"
OUR PRODUCT "differentiation/ value proposition"
The classic way to validate the Product Vision is to answer the elevator test: “Can you explain your product in the time it takes to ride up in an elevator?” Passing this test ensures that your Product Vision is clear, engaging and brief. The sum of all Product Backlog items completed during a Sprint and all previous Sprints. functionality desired in the product. User Stories are prioritized by the Product Owner according to importance, effort vs. value. 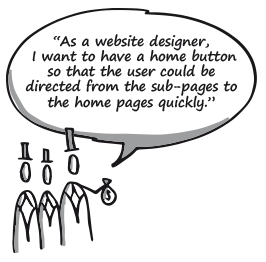 User Stories are short, simple descriptions of the desired functionality. An agreed list of activities necessary to get a product Increment to a final state at the end of the Sprint. A list of requirements that have to be fulfilled in order to consider the User Story as complete. 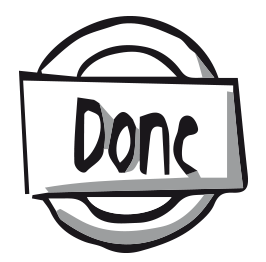 Unit of measure for expressing an estimate of the overall effort of a Product Backlog item. 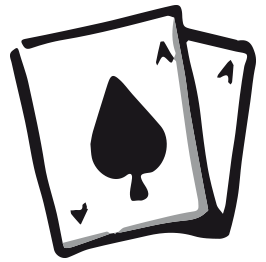 In Planning Poker, members of the group make estimates by playing numbered cards with values that represent the number of Story Points (0, 1, 2, 3, 5, 8, 13, 20, 40 and 100). A list of tasks identified by the Development Team to be completed during the upcoming Sprint. 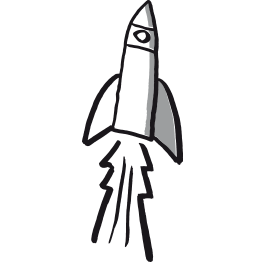 The breakdown of Product Backlog items into tasks helps the Development Team to plan the next Sprints’ To Dos. Work and workflow visualization tool that enables the Team to optimize the flow of their work. Common Scrum Sprint tracking mechanism used to track implementation progress of agile projects. A meeting during which the Development Team commits to the User Stories done in the following Sprint. 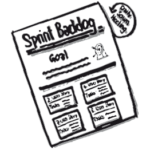 Sprint Backlog: set of Product Backlog Items and corresponding tasks to be implemented within the next Sprint. The Development Team meets shortly every day to synchronize activities and to plan the next 24 hours. Helps to prepare and update the Product Backlog for the next Sprint Planning Meeting. 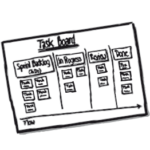 The Backlog Refinement helps to prepare the User Stories in a way that the next Sprint Planning meeting starts immediately with clear and well-defined items. The Development Team demonstrates what they accomplished during the Sprint and the project is assessed against the Sprint Goal. Only those results that are a “potentially deliverable Product Increment” are presented, e.g. a coded, tested and usable piece of software. Besides the Scrum Team also the Stakeholders should participate in this rather informal meeting. 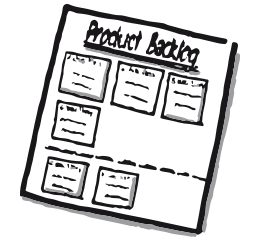 The Stakeholders can provide the Development Team with immediate feedback which will be added as a new User Story to the Product Backlog. The meeting allows the Scrum Team to continuously evolve and improve throughout the life of the project. 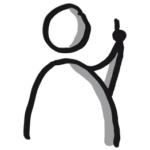 Every Scrum Team member should get the chance to air their opinion in an open, honest and constructive atmosphere. A chart showing the evolution of remaining effort against time. Burn-down charts are an optional implementation within Scrum to make progress transparent. A chart showing the evolution of an increase in a measure against time. 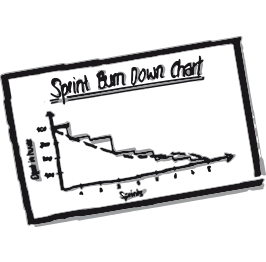 Burn-up charts are an optional implementation within Scrum to make progress transparent. Daily time-boxed event of max. 15 min. for the Development Team to re-plan the next day of development work during a Sprint. Updates are reflected in the Sprint Backlog. A shared understanding of expectations that software must live up to in order to be releasable into production. Managed by the Development Team. The role within a Scrum Team accountable for managing, organizing and doing all development work required to create a releasable Product Increment every Sprint. The process of the coming into existence or prominence of new facts or new knowledge of a fact, or knowledge of a fact becoming visible unexpectedly. A piece of working software that adds to previously createdIncrements, where the sum of all Increments – as a whole – form a product. 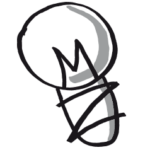 An ordered list of the work to be done in order to create, maintain and sustain a product. Managed by the Product Owner. The role in Scrum accountable for maximizing the value of aproduct, primarily by incrementally managing and expressing business and functional expectations for a product to the Development Team(s). A shared understanding by the Product Owner and the Development Team regarding the preferred level of description of Product Backlog Items introduced at Sprint Planning. A framework to support teams in complex product development. 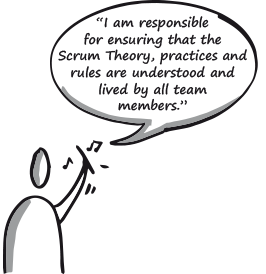 Scrum consists of Scrum Teams and their associated Roles, Events, Artifacts, and Rules, as defined in the Scrum Guide™. The definition of Scrum, written and provided by Ken Schwaber and Jeff Sutherland, co-creators of Scrum. 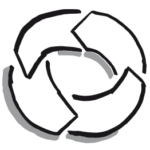 This definition consists of Scrum’s Roles, Events, Artifacts, and the Rules that bind them together. The role within a Scrum Team accountable for guiding, coaching, teaching and assisting a Scrum Team and its environments in a properunderstanding and use of Scrum. A self-organizing team consisting of a Product Owner, Development Team and Scrum Master. The management principle that teams autonomously organize their work. Self-organization happens within boundaries and against given goals. Teams choose how best to accomplish their work, rather than being directed by others outside the team. 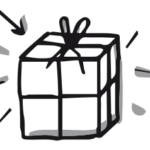 Time-boxed event of 30 days, or less, that serves as a container for the other Scrum events and activities. Sprints are done consecutively, without intermediate gaps. 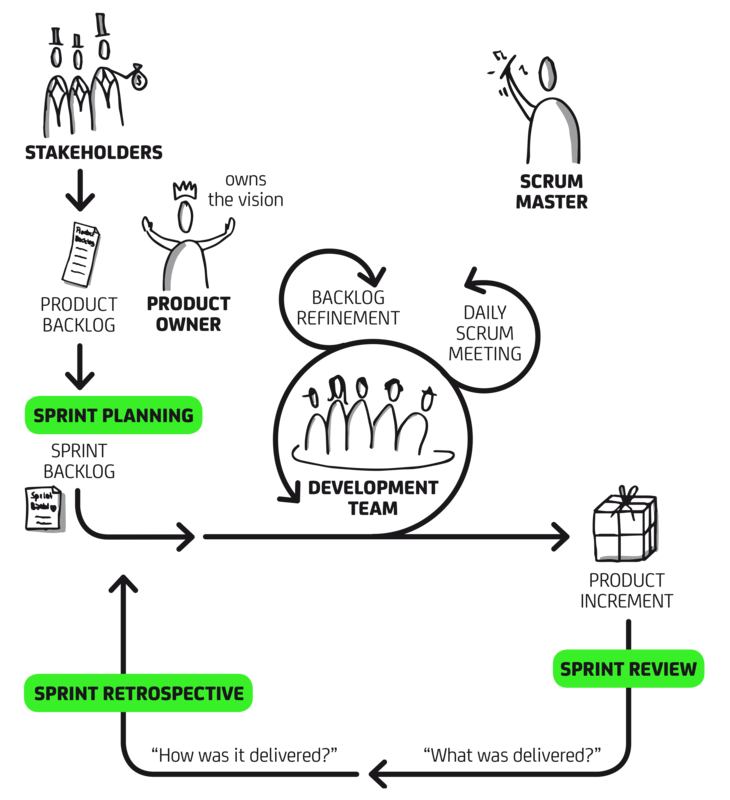 An overview of the development work to realize a Sprint’s goal, typically a forecast of functionality and the work needed to deliver that functionality. Managed by the Development Team. 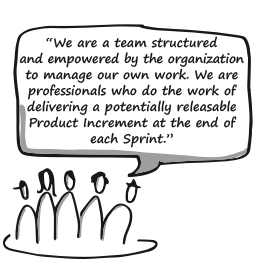 A short expression of the purpose of a Sprint, often a business problem that is addressed. Functionality might be adjusted during the Sprint in order to achieve the Sprint Goal. Time-boxed event of eight hours, or less, to start a Sprint. It serves for the Scrum Team to inspect the work from the Product Backlog that’s most valuable to be done next and design that work into Sprint Backlog. Time-boxed event of three hours, or less, to end a Sprint. It serves for the Scrum Team to inspect the past Sprint and plan for improvements to be enacted during the next Sprint. the Product Backlog in order to maximize the value of the next period. for everyone. 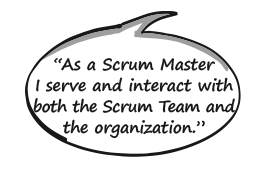 The Scrum Team members learn and explore those values as they work with the Scrum Events, Roles and Artifacts. 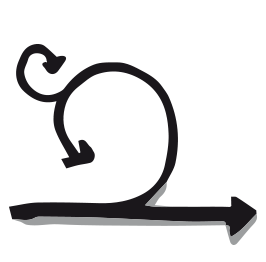 An optional, but often used, indication of the average amount of Product Backlog turned into an Increment of product during a Sprint by a Scrum Team, tracked by the Development Team for use within the Scrum Team.